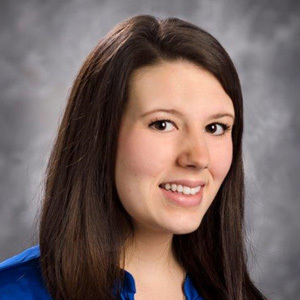 Cassandra (Cassi) Friedli joined Greywolf Partners in 2015 and was promoted to Property Manager in 2018. Cassi manages a portfolio of commercial office, retail and industrial properties totaling over 750,000 square feet. In addition to managing these Milwaukee area properties, she also oversees the administrative team at Greywolf Partners, and is currently working towards her Certified Property Management (CPM) designation. Prior to joining Greywolf, Cassi worked for It’s Just Lunch as a Coordinator and at Northwestern Mutual as an associate for a team of Financial Advisors. Through these positions she gained knowledge in customer relations, marketing, and office management. She was responsible for creating client insurance packages and assisting with special events. Cassi has capitalized on this experience to ensure quality and timely care taken with tenants as well as upholding the highest building standards. Cassi graduated with a degree in Media Studies with an emphasis on marketing and advertising from the University of Wisconsin- Milwaukee. She is certified in Digital Arts and Culture and uses this certification to create photography. In her free time, Cassi appreciates time spent with her husband, family, and friends. She enjoys traveling, being on the water, and attending sports and music events.